The inaugural Chris Waller Memorial Scholarship was recently awarded to 2011 C of O graduate Adam Bulkeley. The scholarship is in the memory of Academic All-American and All-Conference basketball player Chris Waller. The Chris Waller Memorial Scholarship was established by Al and Marty Waller, parents of Chris Waller, in memory of their son who they lost in a car accident in December 2010. 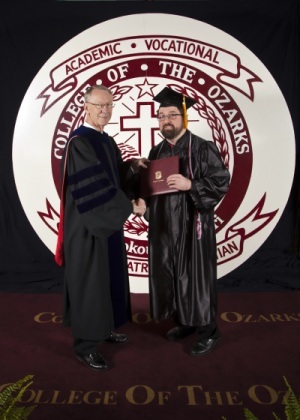 Chris graduated from Branson High School and attended College of the Ozarks from 1997-2001, where he majored in mathematics. The scholarship is given to a College of the Ozarks graduate who possesses outstanding character and who wants to further his/her education. The money for the scholarship comes from interest off of the memorial endowment established in Chris’s memory. (Branson, Mo. 6-14-2011) “Send donations for Joplin now” is the message the Branson community wants to deliver on June 26, 2011, during the live concert and telethon being staged by the Southwest Missouri town known as the “live music show capital of the world”. The live benefit concert will be at The Mansion Theatre and tickets are on sale now for a minimum donation of $50 by calling 1-866-707-4100 or visiting JoplinBenefit.com. Joplin, Missouri was hit by an EF5 tornado that brought winds exceeding 200 mph, destroying over 8,000 homes, 400 businesses, 5 schools, and St John’s Regional Medical Center (Mercy Health Joplin). “Joplin is a great neighbor and folks there need for their community to be made whole again,” said Ann Stafford, event organizer and co-owner of the Jim Stafford Theatre in Branson. “Branson’s stars and our local businesses and volunteers want to help that process happen. We believe assisting St John’s Mercy Hospital to operate while rebuilding is vital to the stability and health of the entire community both economically and spiritually. We also believe that as musicians and show people, who make our living from the arts, that it is important to the children of Joplin to also have their music programs put back in place.” Proceeds from the concert and telethon will go to St John’s Mercy Hospital and to the Joplin Schools’ music programs. The Joplin High School’s loss in musical instruments alone exceeds $280,000. “Our goal is to reach out to everyone to donate instruments or to purchase instruments for the kids through a silent auction being held on the 26th during the live concert. There’s a list of specific instruments needed at JoplinBenefit.com,” said Jim Barber, President of The League of Theatre Owners & Show Producers as well as co-star of the Hamner-Barber Variety Show & Theatre. “We believe that by keeping the music alive in the schools, the lives of the children of Joplin will be enriched during this time of recovery.” Instruments may be dropped off at the College of the Ozarks Christian Ministries offices, The Mansion Theatre, any Palen Music Stores and Hoover Music Store in Springfield, Missouri or at any of the Mercy Health Systems offices. CW affiliates in Springfield MO, Wichita KS, and Fayetteville AR; ABC affiliate in Fayetteville AR; the NBC affiliate in Victoria TX; and the CBS affiliate in Greenville MS. The Branson Cares Benefit will be available via satellite for television broadcast from 7 p.m. to 10 p.m. KOAM-TV and Fox 14 in Joplin are producing the show and have graciously donated the equipment, labor, and the satellite services for this event. The event will also be closed captioned provided by Caption Solutions of Lawrence KS. (Metro Sports of Kansas City and Freebird TV of Olathe, KS provided the production truck and satellite truck, respectively). The League of Branson Theater Owners and Show Producers (The Branson Show League) is producing the Joplin Benefit Concert & Telethon presented by Branson Cares. Other Sponsors of the event are KOAM-TV, the Branson/Lakes Area Chamber of Commerce & CVB, a variety of area businesses, and numerous volunteers. KOAM, in providing the live broadcast of the show and facilitating the satellite uplink, is making it possible for the telethon to be shown in communities throughout the country, with those station placement efforts currently underway. Viewers are advised to call their local TV stations to check the schedule to see if their hometown stations are airing the Joplin Benefit Concert and Telethon presented by Branson Cares. KIDSITTING SERVICE AVAILABLE THRU THE SUMMER FOR YOUR CHILD. If you find yourself in need for some time away from the kids to get some errands ran, need a date night with the hubby, some much needed time with just the girls….call Kayla’s Kidsitting. Kayla is available to watch your child at the Mid-American Mixed Martial Arts dojo or at your home. E-mail lilninja97@yahoo.com or call 417-339-7955 to schedule your time slot. If you choose to have sitting at the dojo……enjoy hours of fun with lots of indoor play, games, movies and snacks. Tell your friends and get a group together to enjoy a playdate in a safe and entertaining environment . Best of all no clean-up for you! 5:30-7 pm at Mount Pleasant Winery. You are invited to attend the BAC’s Art Open House and Mixer. This is one in a series of art open house that feature local artists and their work. This month we are featuring artists from the BrushStroke Art Gallery in Hollister. Plan to stop by for great art work, fellowship, snacks and wine. This is a great way to get acquainted with local arts and local art supporters. performances by this very talented artist..
Nicholas Susi, 24, has studied piano since age 9. Graduate of the Community Music School of Webster University in St. Louis, Missouri, he continued his piano studies at the University of Kansas (B.M. Piano, minor in German) and the University of Michigan (M.M. Piano). Primary teachers include Jack Winerock, Zitta Zohar, and Arthur Greene. Both performances are free to the public. 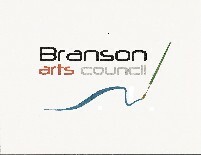 The Branson Arts Council is supported by the City of Branson and the Missouri Arts Council. Free concert at the Fountain Area on the Branson Landing. This brilliant American Flamenco virtuoso has evoked standing ovations on four continents. He has been acclaimed in Mexico City as, “equal to those on any Flamenco stage in Madrid, Seville or Andalusia” His melodies are haunting, the rhythms are fiery and the concert will be a leisurely journey into flamenco-the folk music of southern Spain. From the very literal imitations of bugles and drums in “Holy Week in Seville” to the unspeakable sadness of the “Cante Hondo”, the Spanish songs of lament, Radford performs with a consistently crisp technique that is flexible enough to master the extremes inherent in the flamenco style. All are welcome to come and listen to this fine guitarist on Saturday June 18th. He will also perform at the Old Stone Church on Sunday, June 19th at 2 pm.